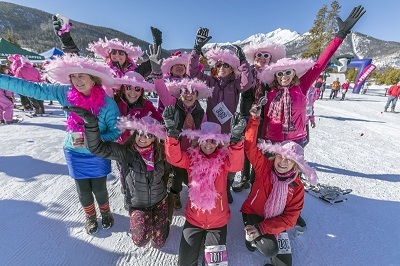 Susan G. Komen Colorado's Snowshoe for the Cure will bring over 1,000 supporters together at the Frisco Nordic Center in a truly unique fundraising event that combines the community's philanthropic spirit with Coloradans' love for the great outdoors – all in an effort to combat the most frequently diagnosed cancer worldwide. 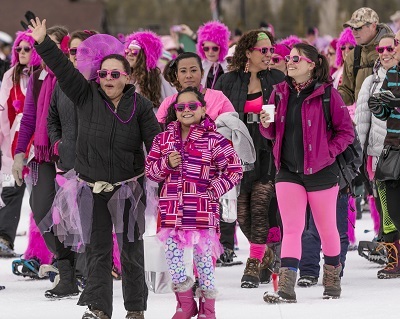 Snowshoe for the Cure is a fun event, but the need is serious. 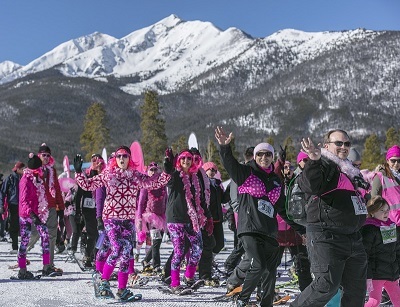 100% of Snowshoe for the Cure donations benefit Susan G. Komen Colorado's mission to save lives by meeting the most critical needs in our communities and investing in breakthrough research to prevent and cure breast cancer. 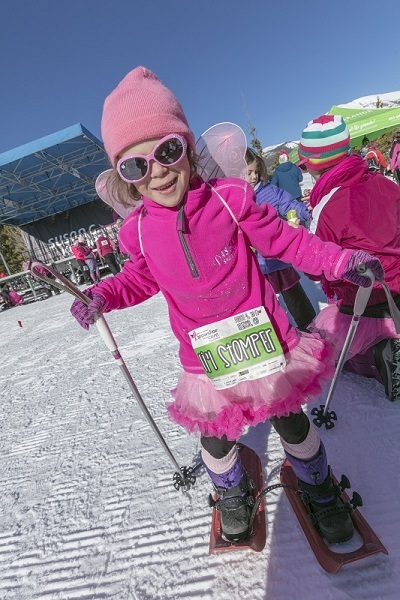 Pick up your packet, enjoy a pancake breakfast, compliments of Flippin Flapjacks, visit the vendor booths, and get geared up for Snowshoe. 8:45 a.m.: Registration and packet pick-up closes. 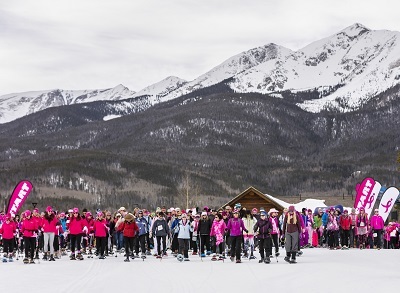 The event is being held at Frisco Nordic Center, 616 Recreation Way, Frisco, CO 80443. There will be buses at the off-site parking lots to transport you to the event. As always, we encourage you to carpool. It's more fun to ride with friends anyway! For your safety, please visit http://www.cotrip.org/roadConditions.htm or tune into KYSL (93.9 and 93.1) for the latest updates on local road conditions before you head to the event. Peak One Drive Medical Office Buidling: Preferred event parking location. From I-70 West, take Exit 203, continue on Summit Blvd., which becomes Hwy 9. Pass the first light (CR 1004, Water Dance on left). Drive to upper hospital entrance. Right on Peak One Drive (upper entrance across from Frisco Adventure Park). Take GREEN bus to Nordic Center. Frisco County Commons Building: From I-70 West, take Exit 203, continue on Summit Blvd which becomes Hwy 9. Right on CR 1004 (Water Dance on left). Take RED bus to Nordic Center.